Is’nt it beautiful. It also has a countdown timer and a Newsletter Subscription Box. Setting it up is a breeze, just follow the below steps and you will have a functional site in 10 mins. 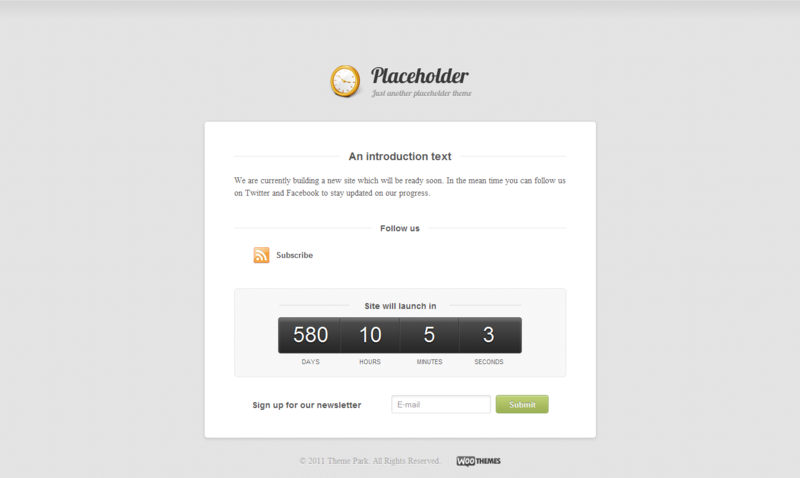 Install Placeholder Theme : Once the WordPress is installed, go and download placeholder theme. It is developed by Woothemes and is free to use. A note on Woothemes.. They are an awesome company have some really great themes. Check them out. – One can also change the background Image by going to Styling Options. Save the changes and thats it. We now have a see a shiny new Coming Soon Page .. and all that for free .